An increasing problem facing employers is the threat of class action lawsuits related to their use of background checks. In these lawsuits, plaintiffs claim that employers are violating a federal statute called the Fair Credit Reporting Act (the “FCRA”), which regulates, among other things, an employer’s use of background checks performed by third party providers. For example, in November 2018, the pet care products retailer Petco Animal Supplies, Inc. (“Petco”) settled a class action lawsuit alleging FCRA violations that was filed by a group of applicants for $1.2 million. The primary claim asserted by the applicants was that Petco had not provided them with proper notice that Petco may obtain and use a “consumer report” (explained more fully below) in the course of its hiring process. The FCRA has become a growing source of class actions due largely to the fact that plaintiffs can recover significant damages in these types of actions. Penalties range from $100 to $1,000 plus attorneys’ fees for “willful” violations, and actual damages plus attorneys’ fees for “negligent” violations. The fact that an employer can be required to pay the plaintiffs’ attorneys’ fees provides a strong incentive for aggressive plaintiffs attorneys to pursue these claims. In the face of this potential exposure, it is extremely important that employers ensure they are complying with the FCRA’s notice and disclosure requirements, as the basis for most lawsuits in this area stem from “technical” compliance issues. Certify to the consumer reporting agency that the employer has complied with the FCRA, including verifying that the applicant or employee has been provided with the necessary notice and the employer has received proper authorization to request the consumer report. A statement setting forth the applicant’s or employee’s right to dispute directly with the consumer reporting agency, the accuracy or completeness or any information provided by the agency. As noted above, the risk of class action litigation should serve as a strong motivator for employers to review their background check procedures and ensure that they are complying with the FCRA. Again, the Petco case provides a useful illustration of how important it is that an employer fully complies with the FCRA, as Petco will have to pay over $1 million because it allegedly did not provide applicants with the notice required by the FCRA. It is important to remember that although many employers outsource their FCRA compliance to third parties, the employer remains ultimately responsible, and therefore ultimately liable, for any FCRA violations. As an additional note, on September 12, 2018, the CFPB published an interim rule which included a new form of “A Summary of Your Rights Under the Fair Credit Reporting Act” which must be provided to applicants or employees before an employer takes an adverse employment action. As such, all employers should confirm that they are providing the most up-to-date FCRA notices and disclosures to applicants and employees. 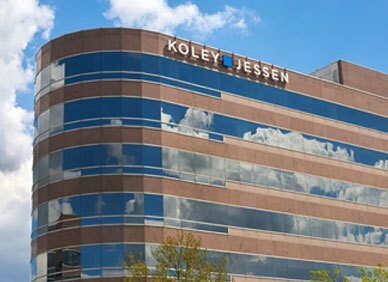 For questions related to compliance with background checks or other employment law matters, please contact a member of the Koley Jessen Employment, Labor and Benefits Practice Group.